Tart-but-sweet lingonberries paired with a cream cheese filling, wrapped in pie dough and baked to perfection. These yummy little Lingonberries & Cream Hand Pies will have people fighting over the last one (and the first one). Ever had a lingonberry? They’re pretty fantastic. Similar to cranberries, they’re much smaller and juicier – and delicious! Tart, but sweet – they’re perfect in jams and jellies (due to natural amounts of pectin). Known as a “superberry” and found in Sweden – they’re perfect for these pies. 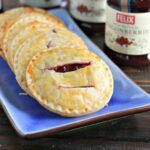 I’ve used cream cheese with a touch of powdered sugar to pair with the jam in these pies and it works well. A touch of tart, a little sweet wrapped in delicious buttery pie dough. Brushed with a little egg and baked, ready to eat in about 20 minutes. You don’t have to get fancy with the shapes or decorative edges on these pies, they’ll still taste JUST as good if you get a little rustic. You shouldn’t skip the knife cuts in the top though, it’s essential to ensure the pies don’t, well – explode. 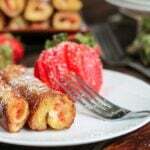 These are PERFECT for a dessert, or a mid morning snack, and great for sharing. They taste just as good room temperature as they do warm. Want more pies? Of course you do! Unroll your pie crust onto you counter, and cut out circles, rolling together any scraps and recutting. You should get about 16 circles (8 hand pies). Combine the cream cheese and powdered sugar. Place about a tablespoon of cream cheese mixture on 8 of your pie crust circles. Top with 2 tsp jam. Place another pie dough circle over the top, and use a fork to crimp the edges together. 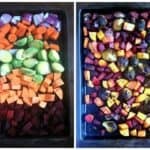 Bake in preheated oven for 15-20 minutes. Pies should be golden brown on top. What is the approximate size of circles you cut in the dough? Love the step by step photos! I love lingonberry and haven’t had it forever! Oh I love this handpies! They look delicious! I love lingonberries and I am always searching for ways to be able to enjoy them. This is perfect! I remember buying ligonberries at the store when my first was little. He loves those tart little berries! 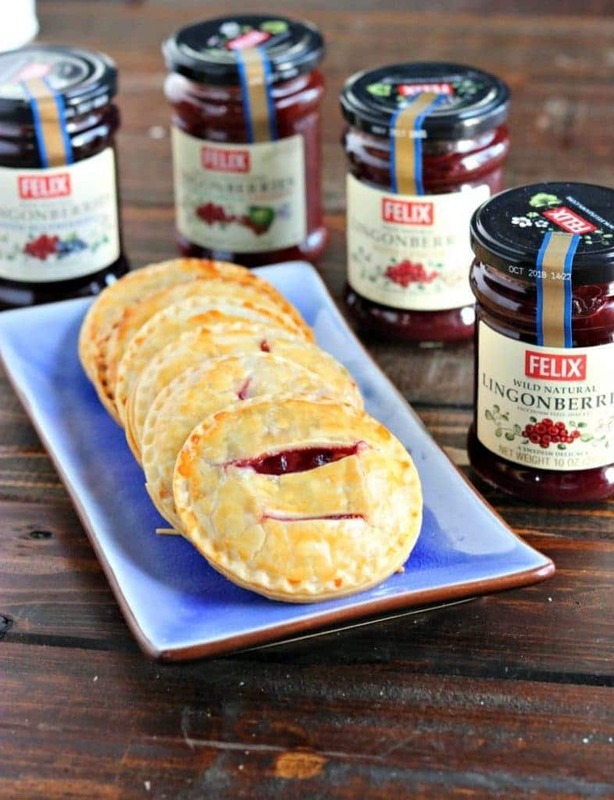 love the little hand pies, the lingonberry and cream sounds like a perfect combination. This is a must try recipe. Those look like they are store bought. If they yayse half as good as they look, it is a recipe I have to try. I’ve never had lingonberries but I like cranberries so I’m sure I’d probably like them. And then pairing them with cream cheese I’m sure is a great combination. These sound perfect! I’ve never heard of this brand or lingonberries, but this recipe looks delish! I want to win so I can hurry and make my own pies! I’ve never had lingonberries so not sure what they taste like. However, these little pies could be made with any flavour jam and would be delicious I’m sure. So easy! Grams made these when I was a kid now I can quickly & easily share them with my kiddos! We do love lingonberries and often have it for breakfast as my kids love it. I can imagine how it can make any hand pies totally yummy! Lingonberries – YUM! These pies seriously sound AMAZING. I know my husband would absolutely love them. Can’t wait to try the recipe! These look amazing!! Beautiful tasty treats! I LOVE hand pies! I’ve never tried them with lingonberries but this looks sooooo delicious! Yours turned out so cute and tasty looking! I have only had lingonberries one time before and it reminded me of cranberry sauce. 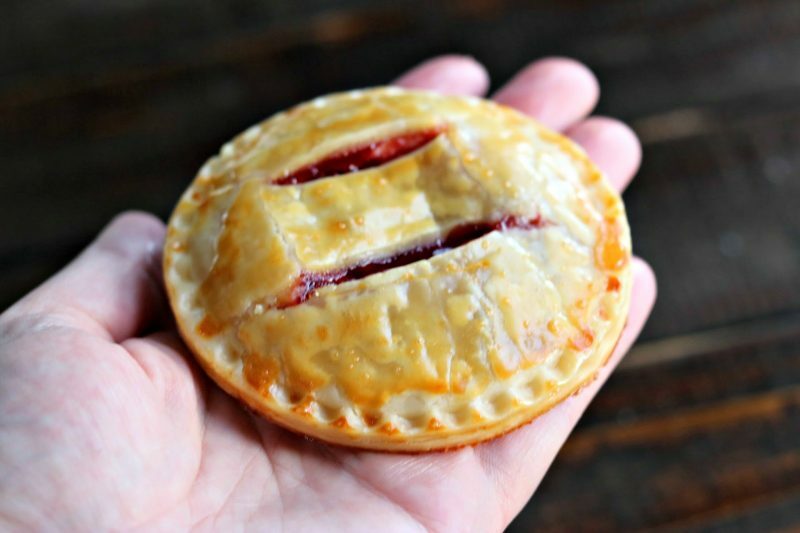 These hand pies look so tasty, perfect for individual dessert size! I’d enjoy Lingonberries with Blueberries. Kylee, these little hand pies are extremely cute! And, truth be told, my dear, you had me drooling at Lingonberries. I love them so much! They are not as popular here in Toronto and hard to find, but growing up in Newfoundland, my mom had them on hand consistently. Your hand pies reminded me so much of the little pies she used to make with lingonberries. So cute! I have never had a Lingonberry or jam before but it sounds delicious. And these hand pies, just adorable. 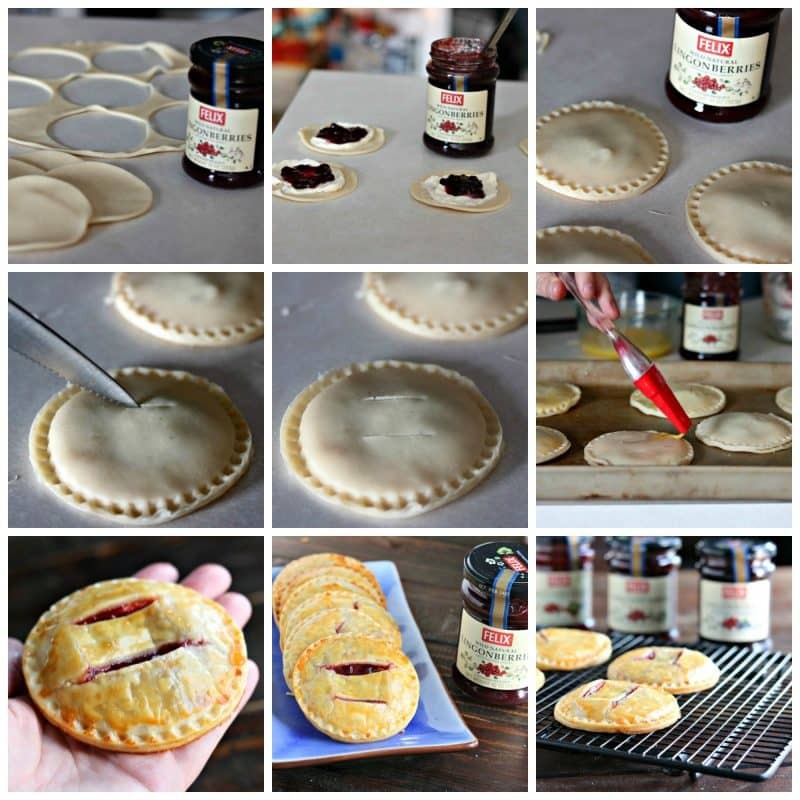 I also love that you could use any jam you have on hand and your only about 20 minutes from a portable pie! I love lingonberry jam – but I usually eat it with Swedish meatballs, not in a sweet way. Your hand pies look perfect – so pretty! My first contact lingoberries happened when I stayed in Stockholm, Sweden. I miss here. I can get it for IKEA still miss one from Stockholm. 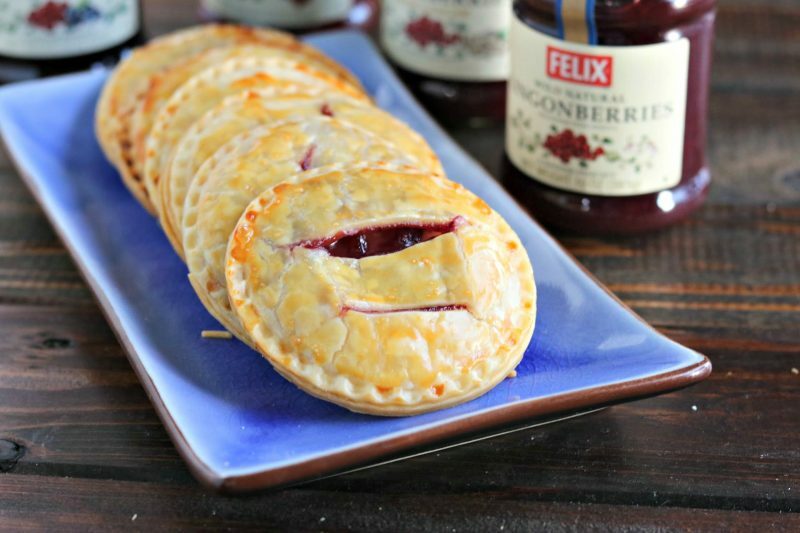 You made a beautiful hand pies with lingoberries. I can few you at a stretch. No one wants exploding hand pies in the oven- trust me on that one! 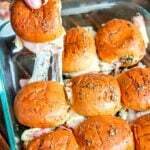 I love the recipe and have all the ingredients to make it! Can’t wait! I’ve never tried lingonberries and I’m ready to give them a go! I have never tasted lingonberries and I have been reading a couple of recipes with it in the past few days. I wonder if we I can find them in my local stores. The hand pies looks wonderful and I will totally enjoy making them. This mini pies look amazing Klyee! So crustily, sweet and delicious. I love bite size desserts. I’m so glad you promote natural products. Lingonberry jam sounds really great. Those pies look amazing! I’ll be trying these with lots of jams. I have never had a lingonberry and am excited to try it! These look so amazing…seriously I want to eat one of these right now!! I’m also entering into your giveaway! YEAH!! SO glad I came across your recipe!! Ive never been very big on baking but I’d love to be able to make these! I have never heard of this brand, but they look like they have some really tasty flavors! I think I would enjoy them all, but the Lingonberries with Blueberries sounds especially good! The hand pies look wonderful I wish I had one right now. I would like to try the lingonberries with apple and cinnamon. I would like the lingonberries with blueberries! I love handpies and any fruit dessert! This looks delicious! I can’t wait to try the recipe. 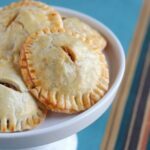 Your Hand Pies recipe looks fabulous! First I’d try their Lingonberries with Spiced Apple & Cinnamon jam. Hi Kylee! I’ve never even heard of lingonberries (sorry). Is there another fruit you might suggest in place of them? Maybe blueberry jam? Before giving up I’ll try whole foods and hope they carry them but just in case>>>>Any suggestions? I am going to gain so much weight baking all your goodies but heck ..we only live once and I happen to love baking and…eating!!! Thanks for any help you may be able to offer!!!! If you DO substitute – just make sure it’s a really good quality, whole berry jam, so you get the full taste and flavor – but DO try and find the lingonberries – they’re AMAZING. Once again..My thanks!!! I will definitely try Whole foods first! Thank you! !